A quarter of a century after their own country was devastated by war, three Bosnian women are struggling to bring home loved ones caught up in Syria’s ruinous conflict and the collapse of Islamic State rule. The Bosnian government, in common with its counterparts across Europe, lacks a clear plan to deal with the families of defeated fighters of the ultra-hardline militant group. For Bosnia, the predicament has a particular historical resonance: Bosnian Muslims generally practise a mainstream form of Islam, but some adopted radical beliefs from the foreign fighters who came to the country during its 1992-95 war and fought with Muslims against Orthodox Serbs and Catholic Croats. When Syria’s war broke out in 2011, some Bosnians joined Islamic State in Syria and Iraq. But the three Bosnian women say the daughters and a sister whose return they seek — plus their nine children — have played no role in militancy. “Our only goal is to bring our children back home and finish this agony as soon as possible,” said Senija Muhamedagic from the northwestern town of Cazin, who joined forces with two other women to press authorities to help their relatives return. Their daughters and sister, stuck with their children in a camp in northern Syria since November 2017, are desperate to return, saying they were forced to go to Syria by radicalised husbands and were ready to face charges at court if needed. Alema Dolamic, whose sister was left widowed with three children after her husband was killed in fighting in 2017, has created a closed Facebook page for families of the people from the Western Balkans who are still in Syria to exchange information. “It’s been going for five years, I practically don’t have my life anymore,” Dolamic told Reuters in her home near the central town of Tesanj. “I am trying to imagine reunion with her, with children, but it’s unimaginable,” she said, showing the pictures of the children on her phone. Hundreds of people are believed to have left Europe to fight for Islamic State in Syria and Iraq. With the Islamist militant group down to its last shred of territory, more and more of them are asking to come home. According to Bosnian intelligence, 241 adults and 80 children left from 2012-2016 from Bosnia or the Bosnian diaspora for Syria and Iraq, where 150 more children were born. About 100 adults, including 49 women, remained there while at least 88 have been killed or died. About 50 have returned to Bosnia, including seven children. “I feel terrible, miserable, because the children are not guilty, they did not have a choice,” said the third woman, from Sarajevo, awaiting a government decision on the repatriation of her 22-year-old daughter and her two children from Syria. The three women have been talking to police, security and intelligence agencies and government ministries for more than a year, supplying them with information and documents in the hope that their children, who they say were not involved in any military activities, would come back. But as elsewhere in Europe, the Bosnian authorities have been slow to address the families’ pleas, their concern being the security challenges that might arise with the return of people from a war zone and environment of militancy. Their reunion still seems distant. The Bosnian central government announced last year it would set up a coordination body to deal with the return of Islamic fighters and their families, but it has yet to be formed. It does not help that a new government has not been established after a general election in October. “There are certainly security aspects of their return, it cannot be perceived as if just some women and children should be returned to Bosnia from somewhere,” Security Minister Dragan Mektic told Reuters. Mektic said Bosnia was obliged to accept the women who held its citizenship but not their children who were never registered as Bosnian citizens, adding also that it could not be determined with certainty if their warrior husbands were really killed. And even if they return, they are set to face a difficult process of re-socialisation and reintegration in a country where programmes to address such problems do not exist, warned Vlado Azinovic, an expert on terrorism and lecturer at the Sarajevo University School for Political Sciences. The slide into a bizarre world of believing conspiracy theories and voicing openly toxic and bigoted views took place slowly over the last decade whilst many of us were not able to fathom how quickly and extensively social media had taken charge of our lives. 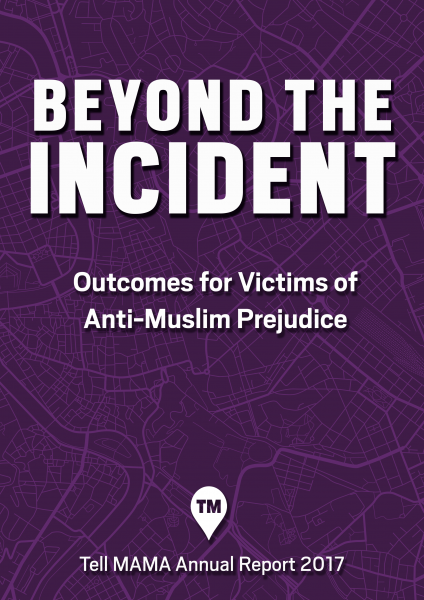 As the Founder and previous Director of Tell MAMA, which supports victims of anti-Muslim hate, the world that I know of today, as someone reaching his fifties, is virtually unrecognisable to the one in which I worked just a decade ago and where there was real hope that levels of racism, prejudice and intolerance were finally on a downward slope. Today’s world is also a far cry from that in which I grew up. As a refugee from Amin’s Uganda in 1972, and having fled a second time from Africa in 1983 because of military instability in Kenya, I suffered at first hand the openly racist abuse meted out to Asians and African-Caribbean communities in Kent where I was schooled. Throughout the ’80s and ’90s, that open racism existed, flourished and led to the murder of young black men such as Stephen Lawrence. Such open hatred impacted on many young men and women from BME communities, though the economic boom of that period helped to also temper some of the racist anger and bigotry. Anti-racism work, equality marches and work-based equal opportunity schemes seem to have turned the tide against division that many of us assumed would mean a country more at ease with its diversity. Whilst the UK is in a far better place than the ’80s, the reality is that, as a country, we have slid backwards towards openly aggressive far-right marches rallying thousands of people, national political instability and a rising sense of mistrust which is acutely felt between BME communities and the two main parties. This, mixed with a recent economic crisis, has created the perfect storm for social insecurity and it is this insecurity that some have played upon in fomenting divisive and openly hostile views toward groups of people in our society. It is also within this environment of insecurity that people have sought comfort within narratives of division that blame others and which provide a sense of meaning to them, however twisted that may be. For such individuals, conspiracy theories become reality since the world around them is unstable and frightening. Grasping onto something almost tangible, that explains the complexity of life in a simplistic fashion, fills the void that many of us currently feel in an increasingly frightening world. This is why, for example, conspiracy merchants who peddle views of an ‘Islamic takeover’ or of hordes of Muslims outbreeding other communities, manage to find a receptive audience. With less money in people’s pockets, communities aggressively vying for resources in austerity, and a sense of confusion as to where we are heading as a nation, you can see how easy it is for people to believe that there are hidden factors at play. The culprits, in their opinion, are more than likely Muslims, Jews or migrants. Both Muslims and Jews have felt a sharp rise in hostility towards them and hate crime figures show such a rise over the last five years. Much of this is due to hate online and, furthermore, since 2012, when I founded Tell MAMA, it was clear to me that social media companies would not remove hateful and criminal material, nor would they take down far-right, neo-Nazi or Islamist extremist accounts. Their business model was based on getting traction for their technological revolutions through more accounts opening up. In doing so, they helped create the fog and smoke of disinformation and gave an amplified voice to extremist groups masquerading as ‘free speech’ martyrs. These companies, whilst levelling the playing field for more voices to be heard, also exposed people to views and opinions that would have been marginalised for a reason. Yet their platforms also legitimised toxic views by placing those views into a worldwide market of ideas where extremist groups were better equipped to promote them. Let me explain. Marginalised, divisive and racist groups by their very nature had to be far more energetic and driven to try to win supporters. Before the advent of social media these people had to host events, print leaflets and remain active at a street level. That all took time and money and, to make it worse, they also looked pretty scary. However, such groups were always driven; they had to be to survive. Now post their divisive messages on social media with a ‘friendly face’, remove the racist insignia and blame migrants, Muslims and foreigners, and strangely there was a more receptive audience as people’s fears and insecurities rose over the last decade. Additionally, as many of us played catch-up to try to challenge extremist and divisive views, these individuals and groups already had a head start since they were naturally driven and could see the power of the new platforms. It was a toxic, heady mix that was to have a severe impact on our society, as we are now seeing today. This is why we must mobilise and defend the social values we enjoy in our country, and which are under threat. It is not just those, as this paper has highlighted, who try and divide local communities, who we must challenge; it is also those beyond our shores, who support extremist groups and seek to destabilise our democracy by fomenting instability, whom we must remain vigilant against. If we take our eye off the ball in these crucial years, it is not only our values which may change – it could be our very understanding of reality. Now that truly is frightening.